Your very first year as an investor is the most important. The decisions you make your first year of investing will determine a lot about how you will invest for the rest of your career. Make the right choices, and you’ll be set up for long term success and wealth. But make the wrong choices at the start, and your investment career may not last. I’ve picked out 3 great books for the beginning financial investor. If you stay the course (a phrase you’ll see again and again in these books), you’ll want to add a lot more good books to your library. 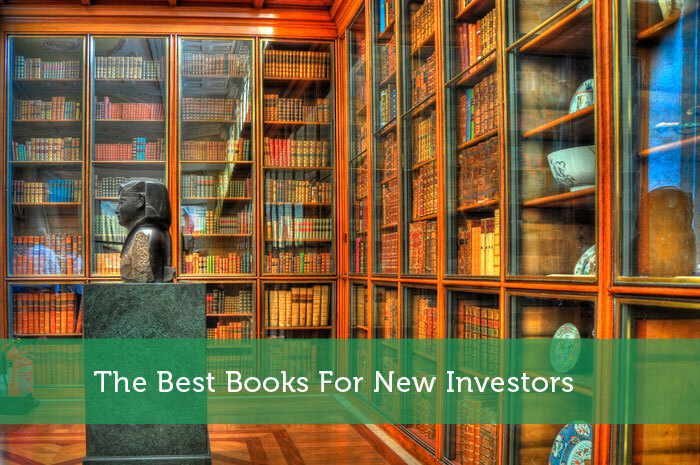 But as a newbie, you can do little better than applying the advice found in these three investing books. John C. Bogle founded Vanguard, the low-cost mutual fund giant. Vanguard was initially derided for not even pretending to try to beat the market. And yet, year after year, they bring in market returns better than those reported by actively managed funds. The Vanguard way has become the industry standard, and is built on a simple idea: the behavior of individual stocks in all but impossible to predict. But the Market, taken as a whole, tends to grow over time. Vanguard places stockholder shares in companies based on an index, a list of those companies that exist at certain levels within the market. By latching your funds to a diverse array of companies, mutual fund investor dollars tend to rise with the overall trajectory of the market. Sure there are some down years, but for generations, the market has demonstrated an overall pattern of growth. Mutual funds are a big selling point in Boglehead’s, an attempt at “idiot-proof” investment. But the book doesn’t stop there. It is also a tremendous primer about all corners of investment. You’ll learn basic investment theory and get a great explanation of industry jargon. This book will serve the new investor well and can be re-read at all stages of life, for reference, for inspiration, for instruction. 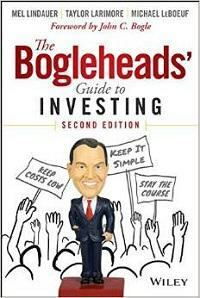 Boglehead’s was the first book on investment I ever read, and I would recommend it for you as well. This is an old book. Published in 1949, The Intelligent Investor has been in print ever since. If you really want to be an investor, this is the kind of book you should be reading because, like this book, investors need to last for the long haul. Graham’s theories have proved their value over decades. Warren Buffett got his start this way, describing his early investment philosophy as “85% Graham”. Graham writes like a coach, sitting the new investor down and teaching them how to unemotionally evaluate stocks and bonds. 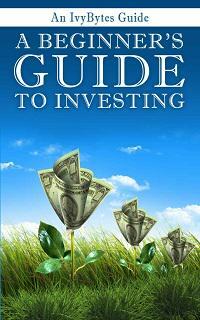 By the end of this book, you’ll know most of what you need to guide you through your entire investment life. Recent editions have updated text and commentary by contemporary investment journalists. There are “easier” books in the world, but most people can handle this one, and it’s so good it has to make my list. All right, here’s an easy one. Just because this one is simple to read doesn’t mean it’s light on content. Frey’s book is surprisingly “light” and immensely practical. By the end, you’ll understand how to answer fundamental questions like: How Much Money Do I Need to Retire? What Does a Diversified Portfolio Actually Look Like? Most important, you’ll know step-by-step actions to take you from where you are to where you want to be. You can buy this book from a variety of sellers for about $5. For a first book on investment, it’s hard to find a better option. If you plan to set out on the road of investment, you’ve got to do your homework about the business of investing first. By understanding the basic tenets of investment, you’ll make sure that your first decisions are going to pay off. When young investors prosper, they have a much better chance of succeeding throughout their entire investment careers. I hope you’ll take the time to learn the basics, and I know these books will help you get there. I am always looking for new books to read, so I appreciate the list! I haven’t yet had the opportunity to read the Bogleheads Guide to Investing despite spending HOURS every week on the Bogleheads forum. My first was the local newspaper. The Intelligent Investor is a must read for anyone who invests, which is basically everyone if you are covered by a 401k plan at work. Easy to read and invaluable. Thanks for this recommendations! 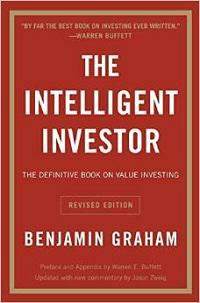 I’ve read The Intelligent Investor and I must say that it has been my guiding principle ever since I started investing. One of my favorites is also the intelligent investor. It’s was pretty easy to read but the content was timeless. The Bogleheads book is probably one I should read in the near future. I’m going to see if it’s available from my local library. I like your choices for new books for investing. I think that real way that a finance book can enact the best behavior is by having that book bring the curiosity from the reader. So that reader can then search for his or her financial questions.